“Cat hero” will travel the world! The WEB movie of “Hoshino Dragon Quest” was released! 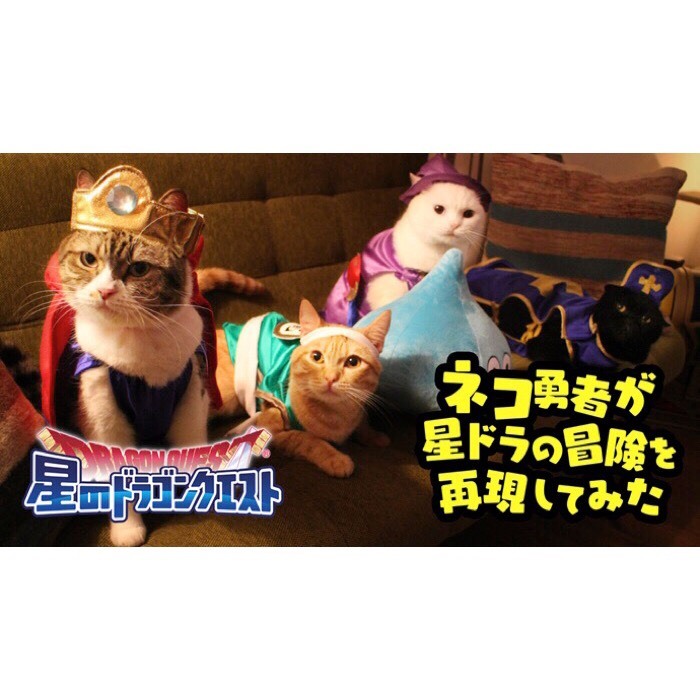 A WEB movie where cats disguised as hero embark on a great adventure inside the room replicating the world of the smartphone game, “Hoshi no Dragon Quest” was released at “Nekono Hi <Hoshidora> Neko Yushatachi ga Boken Shitemita.”on the 22nd of February (cats’ day). The main characters of the WEB movie (4 cats) disguised as a hero, a wizard, a monk and a choreographer travel around the room freely. Dioramas of locations such as a cave, figures of monsters and items such as a ship and a jug are installed inside the room. Rube Goldberg machines are also installed so don’t miss this video full of gimmicks! 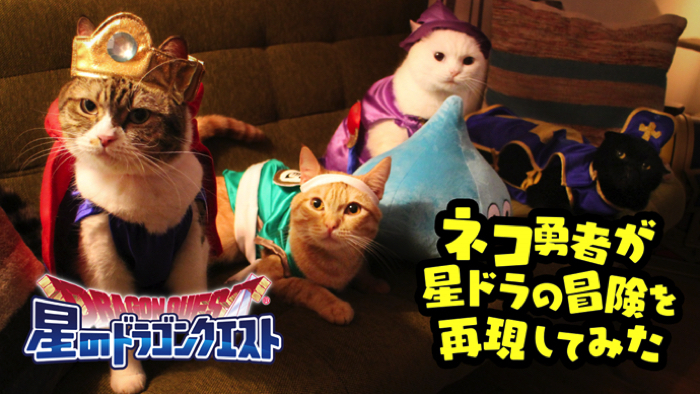 The 22nd of February, the day the video was released, is “cats’ day” because the number 2 in Japanese is pronounced as “ni” and a cat’s cry is “nyan nyan.” Don’t miss the adventures of these “cat heroes” which both the fans of “Hoshino Dragon Quest” and the cat lovers can enjoy.